This spring in New York has been marked by a series of false starts. One week it is trenchcoat weather and the next requires snow boots. The entire city seems to be holding one big collective breath until we get through this last cold bit. I had brunch and sat outside (!!!) last weekend and now I sound like an old lady who only talks about the weather. But when trudging around in the late-March snow it is difficult not to dream of warm afternoons and springtime produce and picnics in the park and not wearing a puffy coat and all the glory that is ICED COFFEE. Oh le sigh! 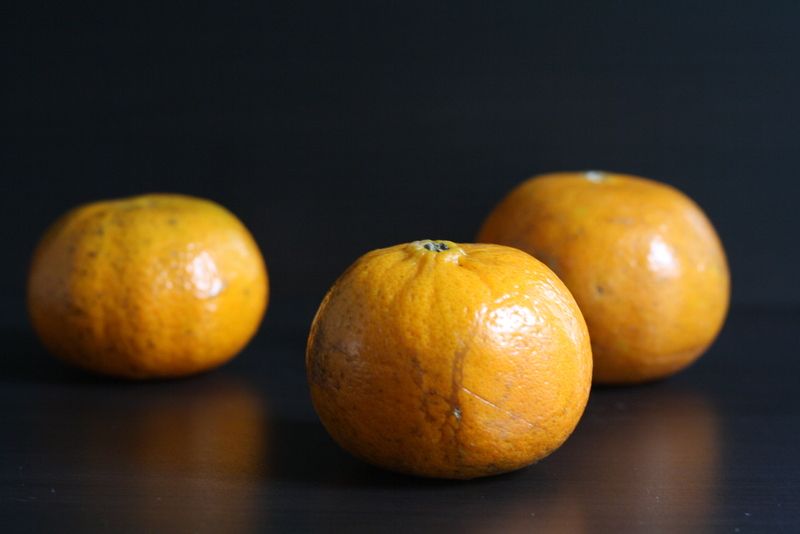 So to bridge the gap between spring and these last few chilly days I have been baking with brightly glowing citrus. The inspiration for this tart comes from one of the best flavor combinations that exists – creamsicle – and you’d be hard pressed to find a better fit together than the orange and the vanilla bean. They are match made in culinary heaven. 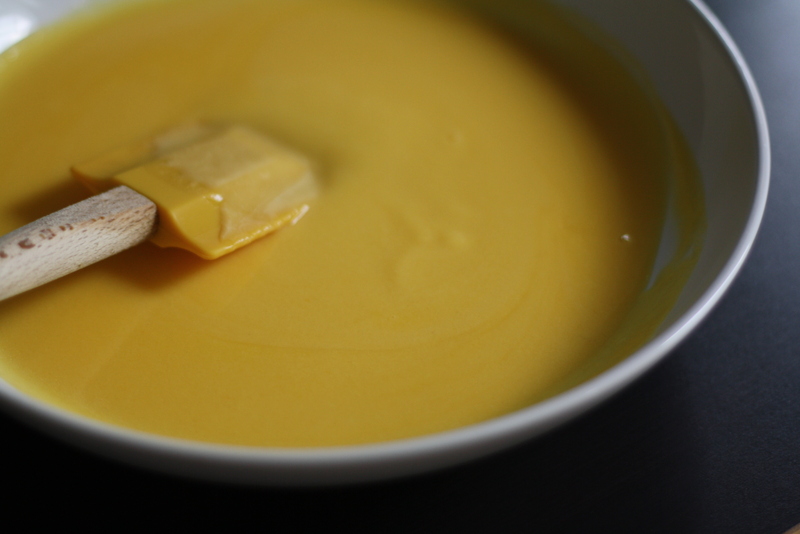 I have talked before about citrus curd and despite having a less than desirable name, it is a technique to have in your baking arsenal. Pick a citrus flavor – the eggs and heat pretty much do all the work for you. 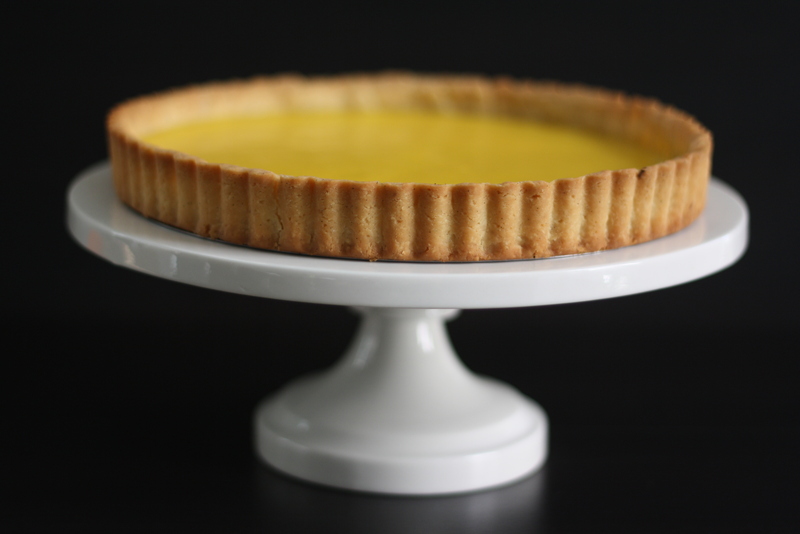 Then when curd is paired with a super simple crust, this tart basically makes itself and your kitchen will turn into a Disney movie musical number. I am joking of course. Sort of. I could go on and on about my tart pan and I have a serious love for this piece in my collection of kitchenware. When you have a love as deep as I do for an 8-inch round pan with fluted edges and a removable bottom, then you need a go-to tart crust that will not fail you. The melted butter (note: brown butter is more than welcome in this situation as well) makes sure you never have to wait for a stick of butter to come to room temperature. It is also made in one bowl. And with one wooden spoon. Which means less dishes to wash and more time to spend eating slices of tart. 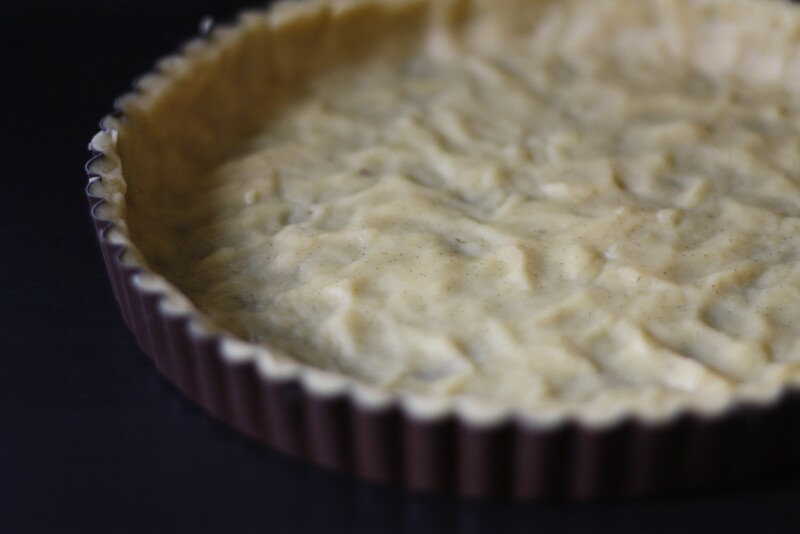 To make sure that the tart crust is evenly pressed into the pan, I always begin with the edges and then work my way to the bottom. Press walnut-sized balls of dough all around the edges then crumble the remaining dough evenly over the bottom. Press into a single layer, prick with a fork, and freeze. After the crust has frozen, press a piece of foil as tightly as you can against the crust and bake. This is a easy kitchen hack to avoid the need for pie weights. Remove the foil, bake for a few more minutes, then add the tangerine curd and pop the tart back in the oven to set it up. You can serve this tart at room temperature but I prefer it chilled and with a tiny sprinkle of powdered sugar. Now if you will please excuse me, it is time to get back to finding the matches for all those stray sandals that have been in serious hiding for the past six months! Make the crust: In a medium bowl stir together powdered sugar, vanilla extract, vanilla bean seeds, egg yolk, and salt until smooth. Add melted butter, mix until combined, then add the flour all at once and stir vigorously until the dough comes together in a smooth ball. Don’t fret if it looks a little oily. Press walnut-sized balls of dough evenly around the edges of an 8-inch tart pan with a removable bottom then crumble the remaining dough over the bottom of the pan, and use your fingers to press the dough into an even layer. Use a fork to lightly prick the dough (every few inches or so) and freeze for 20 minutes. Preheat the oven to 350. Remove the crust from the freezer and press a piece of foil very tightly up against the bottom and up the sides of the crust. This avoids the need for using pie weights! Yay! Bake the crust for 15 minutes. Remove foil and use a spoon to press back the dough if it has puffed up then continue to bake uncovered for another 15 minutes. While the crust is baking, make the filling: In a medium saucepan whisk together eggs, yolks, salt and sugar until smooth and slightly thickened. Whisk in the tangerine juice. Add the butter and set the pan over medium heat, stirring constantly with a heatproof spatula, until the butter has melted. Reduce the heat slightly and continue to stir until the mixture has thickened and coats the back of a spoon, or about 5 minutes. Turn off the heat and stir in the juice from half a lemon. Transfer the curd to a small bowl until the crust has finished baking. Bring it all together: Remove the crust from the oven and pour the tangerine curd over the warm crust. Smooth the top and bake for 5 minutes to set the curd. Remove from the oven, and cool on a rack until the tart comes to room temperature. Chill for several hours or overnight. When you are ready to serve, sprinkle with a dusting of powdered sugar, slice into small wedges and enjoy. Wow! This looks so good. 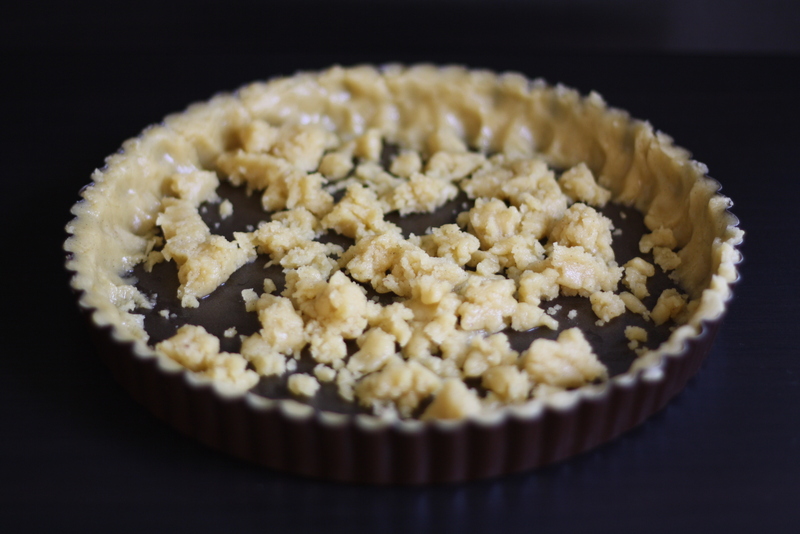 Must get myself a tart pan one of these days. Wow, what a gorgeous tart! Thanks for the lovely pop of color — I am in serious need of it since, like you, I’m eagerly awaiting the spring in NY! OH MAN. This may need to get into my mouth immediately. I might try it with lemon juice instead–for no other reason than that I started a batch of limoncello and really need to use up the lemon juice ASAP! This is pure deliciousness!! Yum! I too am a fan of citrus curd! And tarts! I have been dreaming of something blood orange with coconut. Still brainstorming. This looks wonderful–such simple, delicious flavors! 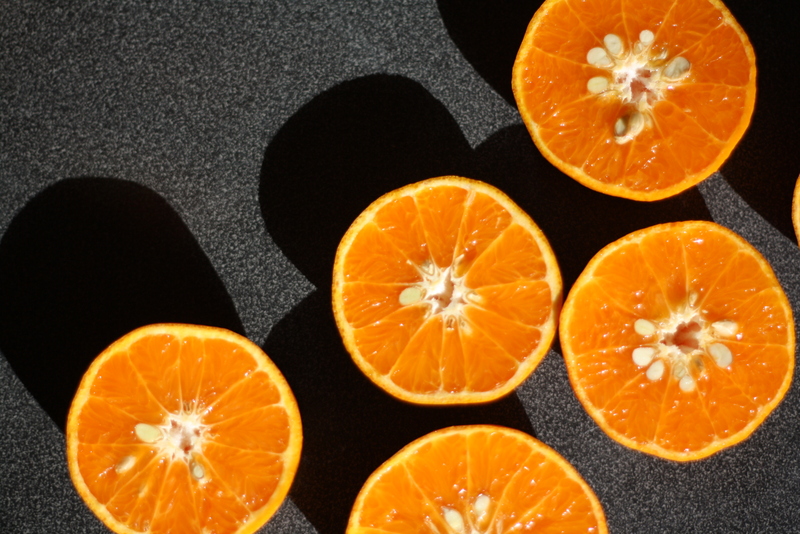 This tart looked so delicious that it inspired me to make my own variation – with blood oranges. I’ve featured it on my blog… take a look, I’ve linked to your page too Credit where its due! What a gorgeous tart! I’m a huge creamsicle/orange julius fan – love the combo of creamy vanilla citrus. 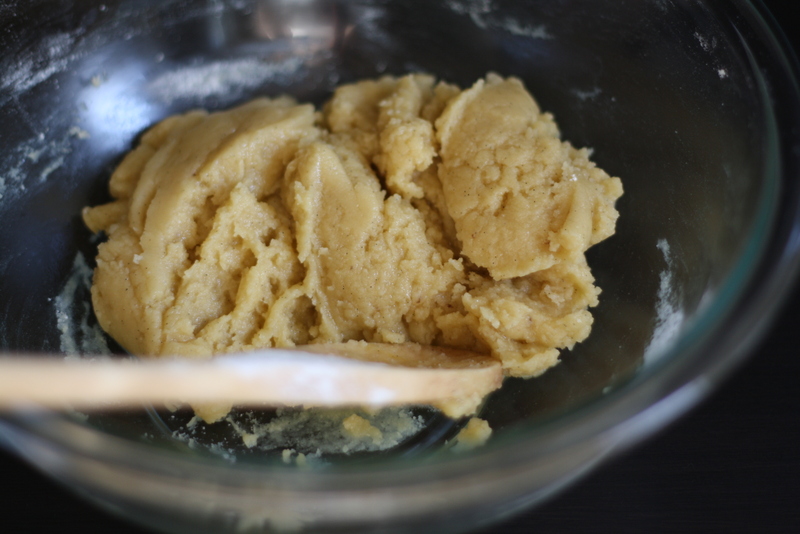 Your tart dough recipe looks perfect, too – I love that it uses melted butter, and gets pressed in. Brilliant! ooooooh this looks so pretty! lovely tart! sounds so refreshing, great for spring! 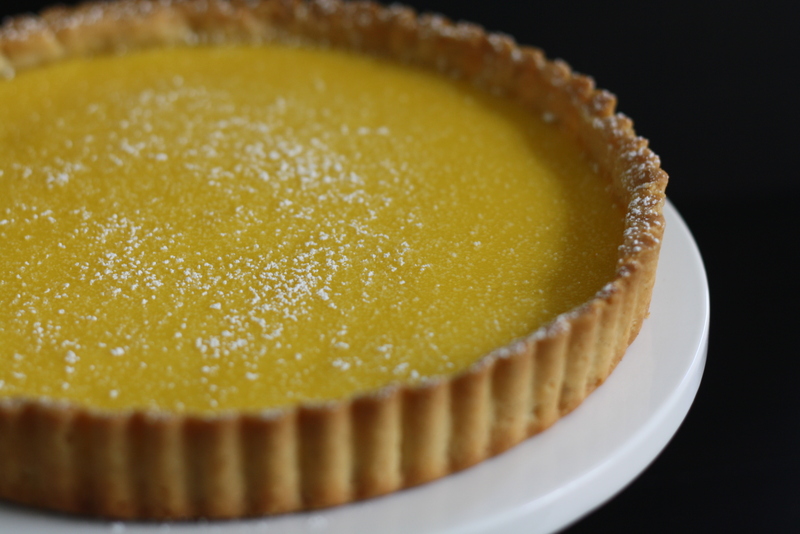 The crust of this tart is absolutely wonderful. Delicious, vanilla-y, and a texture that I actually want to eat (unlike most pie crusts that I leave on my plate after finishing the contents of the pie). I can’t comment on the filling as our tangerines disappeared late Christmas Eve and I replaced them with oranges- it made for an excellent texture but a very bland taste. I will definitely be making this again (with tangerines this time)!